Hillary Clinton: "I don't know anything technical about servers"
Hillary Clinton, whom husband Bill reportedly once dubbed ‘the smartest woman in the world’, is now passing herself off as Prissy in Gone With the Wind (“I don’t know nothin’ ’bout birthin’ babies”) with regard to her State Department email scandal. Clinton gave an interview to the Associated Press published Monday in which she claimed ignorance about the server set up at her home in Chappaqua, New York that she used exclusively for email during her four year tenure as President Barack Obama’s secretary of state from 2009 to 2013. Last month Clinton also claimed ignorance about the server, joking about wiping the server clean with a cloth. “Clinton did not apologize for her decision when asked directly by NBC, “Are you sorry?” Asked Monday by the AP why she won’t directly apologize, Clinton said: “What I did was allowed. It was allowed by the State Department. The State Department has confirmed that. Clinton also claimed the FBI investigation in to her private server was just a ‘security review’ and not a criminal probe. Clinton failed to note she had kept secret the private email server containing thousands of responsive government documents from Congress, the courts, and Freedom of Information Act queries all through her term as secretary. It was the investigation by the House Select Benghazi Committee that brought forth the revelation, two year after she left office, of Clinton’s secret, unsecured server she used for government business, prompting Clinton to turn over tens of thousands of government email records to the State Department and then, months later, the server and thumb drives with copies of the emails to the FBI. Clinton also took it upon herself to destroy thousands of emails without prior government review of their content. 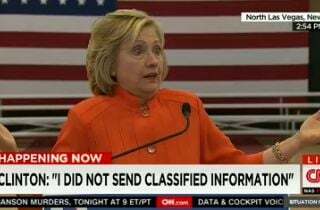 Clinton claims those emails were personal and unrelated to government business–a claim that can not be substantiated as Clinton destroyed the evidence. 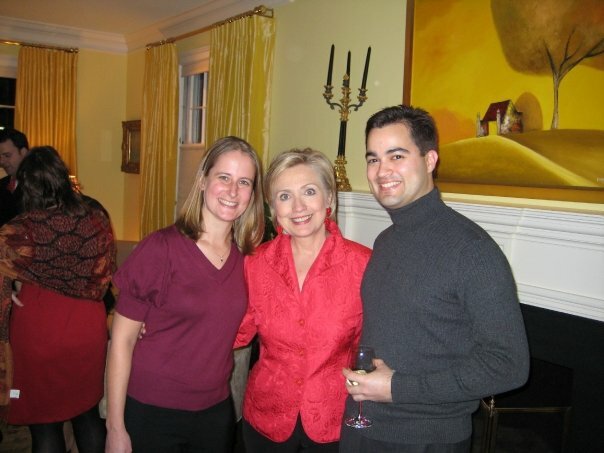 Clinton also waited until late last week to disclose she paid her State Department IT aide Bryan Pagliano on the side for working on the server throughout her term as secretary. That disclosure came after Pagliano announced he was hiding behind the Fifth Amendment in order to avoid giving testimony about the private server he helped install and maintain at Clinton’s home.